Welcome to the site of XXIX Spearfishing Euro-African Championships. Thank You everyone for excellent competition. We warmly welcome you to Helsinki Open Spearfishing Championships saturday 28.6.2014 / Team competition with boats. Results from the competition can be found here. The Baltic Sea is a unique and fragile environment subject to many threats, some of which have already set their mark on this special ecosystem. Eutrophication is causing large-scale changes in the environment including toxic algal blooms and severe hypoxia. Many animals have become threatened due to the destructive actions of man, including many salmonid (trout, salmon and whitefish) populations, which have suffered largely from hydropower plants cutting off spawning access to rivers. Because of this salmon and trout have severely reduced spawning opportunities. 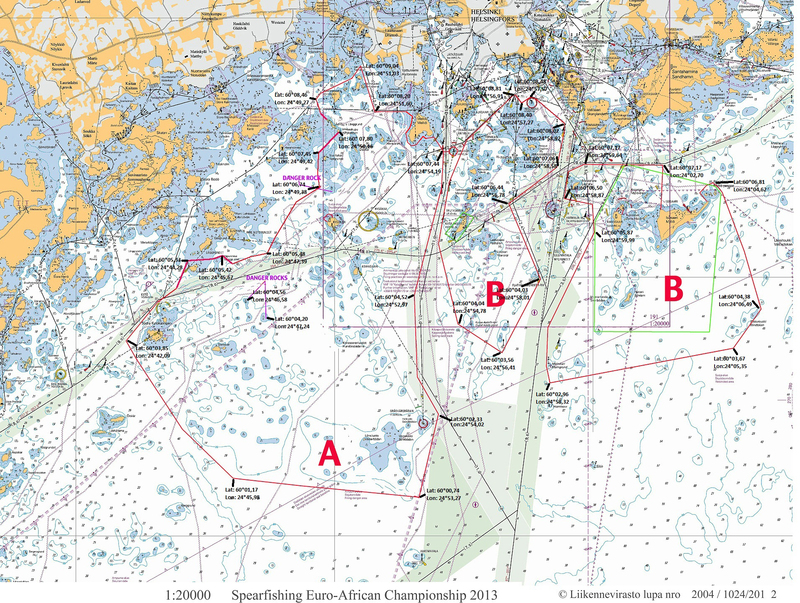 We, the organizing committee of the XXIX Euro-African Spearfishing Championships and Finnish Divers Association, now draw Your attention to the threatened Baltic Sea and to the fact that stocking of salmonid fish directly into the sea is no remedy for the destructive effects of hydropower plants and commercial overfishing. We wish to highlight the selective and highly ecological way of spearfishing. We need to ensure clean water and healthy fish stocks for the future; let's take care of the Baltic Sea and drive hard to restore the river habitats our salmonids so direly need!